Emmeline Stevens: Do you know Dr Rose & Co? #AutumnChappedLips rescue remedy! Do you know Dr Rose & Co? #AutumnChappedLips rescue remedy! If you don't - you should! When I worked in London with various buyers and retailers up and down the country building brands such as #FrenchConnection & #SoShei lingerie, I came across a lovely lady to the name of Dr Caroline Rose, at the time - her store in Leeds was beyond anything you would see on the High Street - a totally inspirational, cosy and inviting traditional style apothecary. I also had the great pleasure of sampling her products - one product of which I'm delighted she introduced me too and still use to this day. The Rose Petal Salve is literally as described - a magical little balm. I personally use it for dry, chapped lips - which so many other high street products really don't help. I do suffer from dry lips in the winter and detest the feeling so this has always been one of my favourites, I urge you to try it! For £5, it's not your high street average but it's amazing properties work wonders and will last you such a long time because you don't need to use it as much. 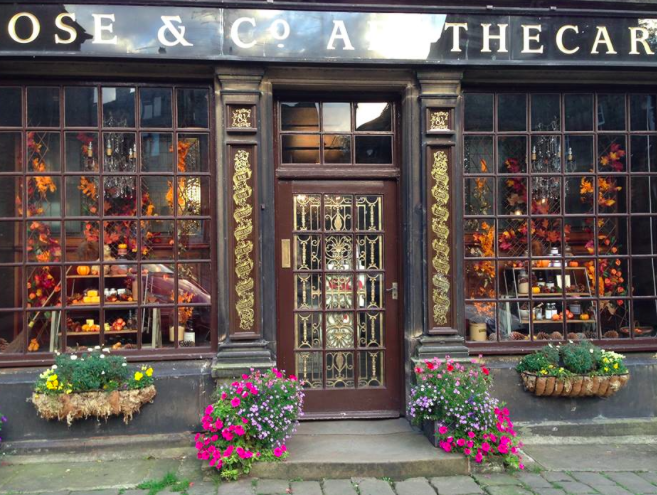 You can buy online and various retailers across the country, but if you have the opportunity to visit their store in Haworth, West Yorkshire - that's a must too. And tell Dr Rose I said hello!